So this is a recipe that sounds potentially gross, or at least highly smelly, but turns out to be really tasty. It comes out tasting somewhere between garlic bread, French bread pizza, and Korean food, which turns out to be a fine place to be. Preheat your oven’s broiler and line a baking sheet with foil. Combine the butters, kimchi, fish sauce, and garlic in a food processor. Don’t add too much of the liquid from the kimchi – some is fine, but a ton will make your bread soggy. Pulse until the ingredients are combined, scraping the sides at least once. 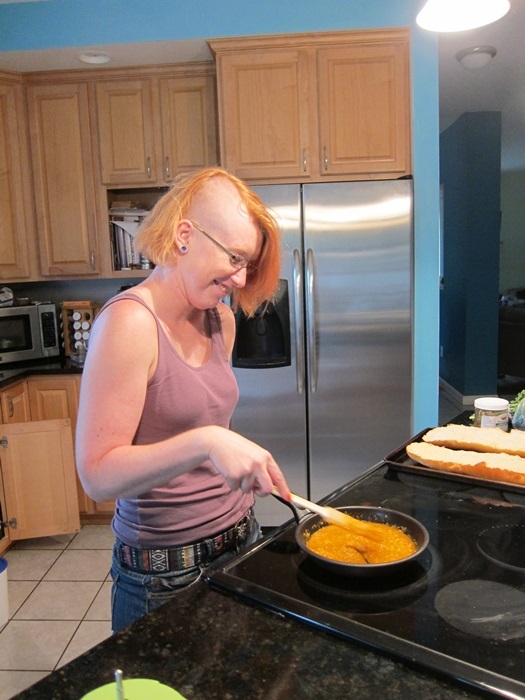 For some reason, at this stage it really looked like there was quinoa in there, but…nope! Turn the mixture out into a nonstick skillet and heat over low heat until the butter melts and the mixture is smoother. Sometimes Jenn and I take 5 hours to eat at a Korean restaurant. Pretty ideal evening, really. 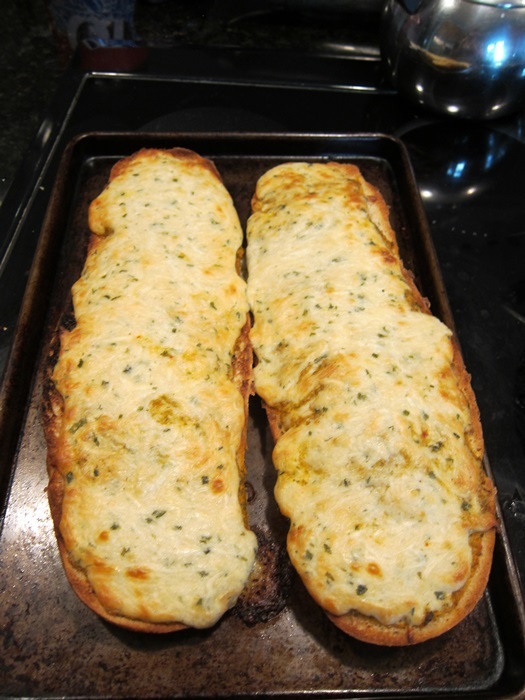 Spread over the bread (cut sides up), then broil 2-3 minutes. Remove from the oven and turn the oven to bake, at 350 degrees. 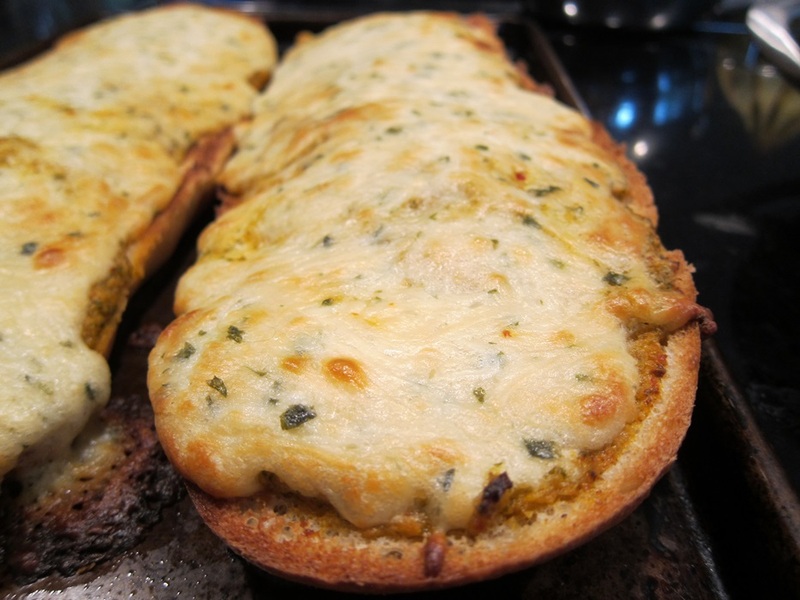 Combine the ranch dressing and cheese, and spread over the bread. Bake for 20 minutes in the top 1/3 of the oven, until brown and bubbly. 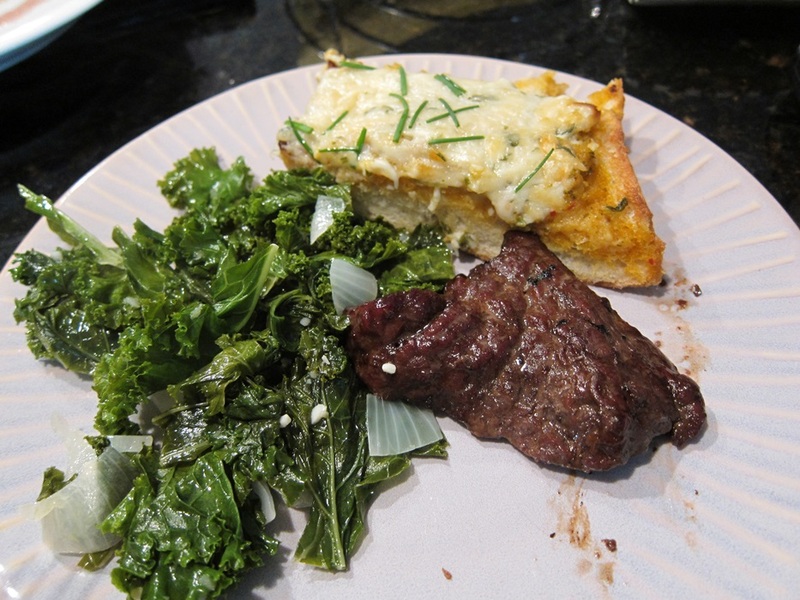 Remove from the oven and sprinkle with chives before serving. The chives are from the yard! My friend Jenn and I both really enjoyed it! And happily, when it came out of the oven neither the kimchi nor the fish sauce odors were noticeable. Whew! I’ll be submitting this to yeastspotting! 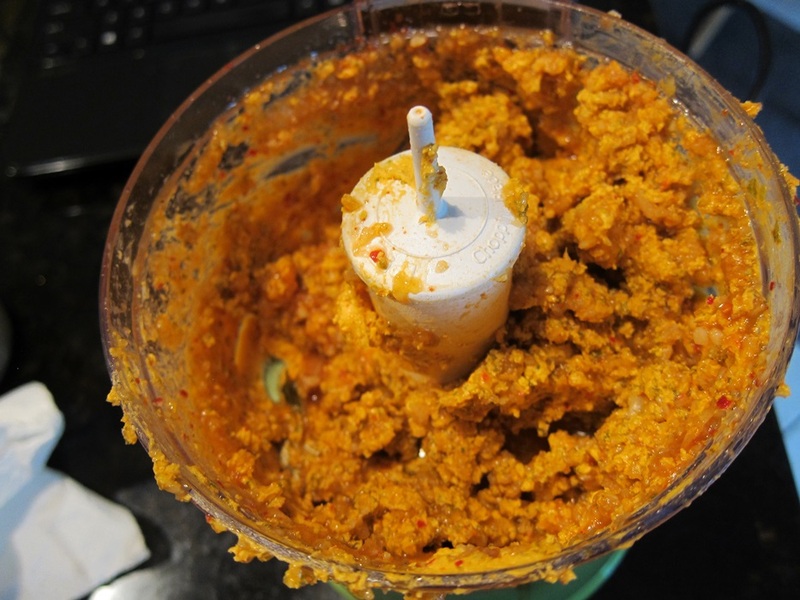 Combine the butters, kimchi, fish sauce, and garlic in a food processor. Pulse until the ingredients are combined, scraping the sides at least once. Turn the mixture out into a nonstick skillet and heat over low heat until the butter melts and the mixture is smoother. 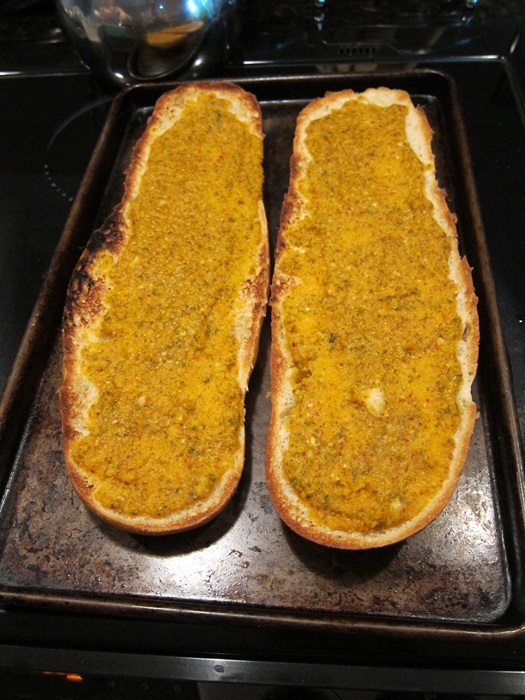 Spread over the bread, then broil 2-3 minutes. Remove from the oven and turn the oven to bake, at 350 degrees. 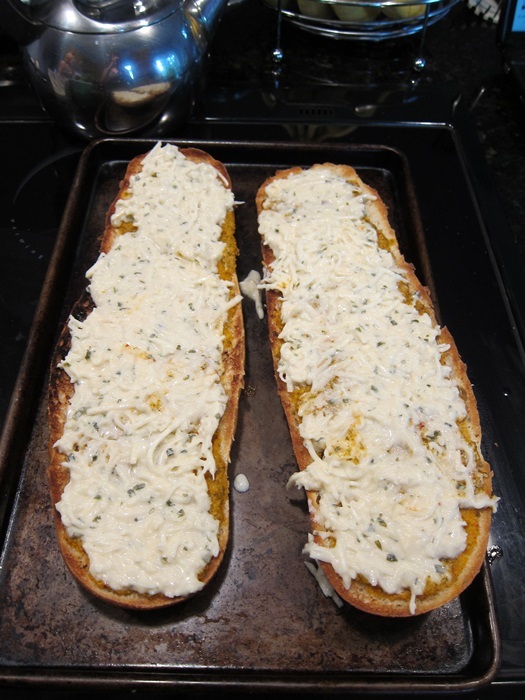 Combine the ranch dressing and cheese, and spread over the bread. Bake for 20 minutes in the top 1/3 of the oven, until brown and bubbly. 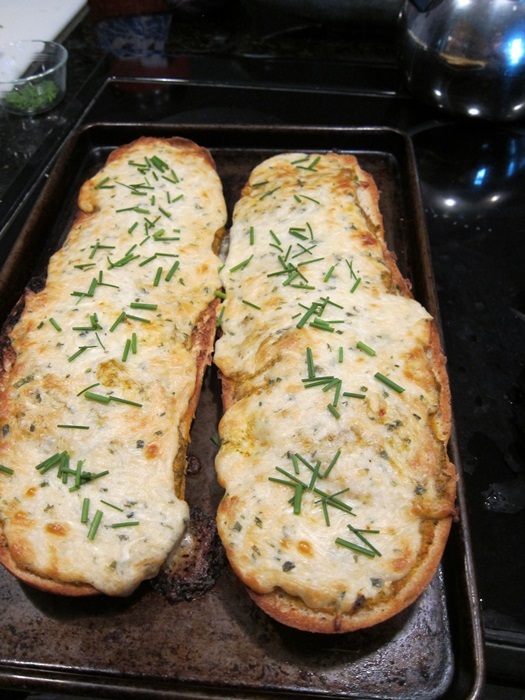 Remove from the oven and sprinkle with chives before serving. 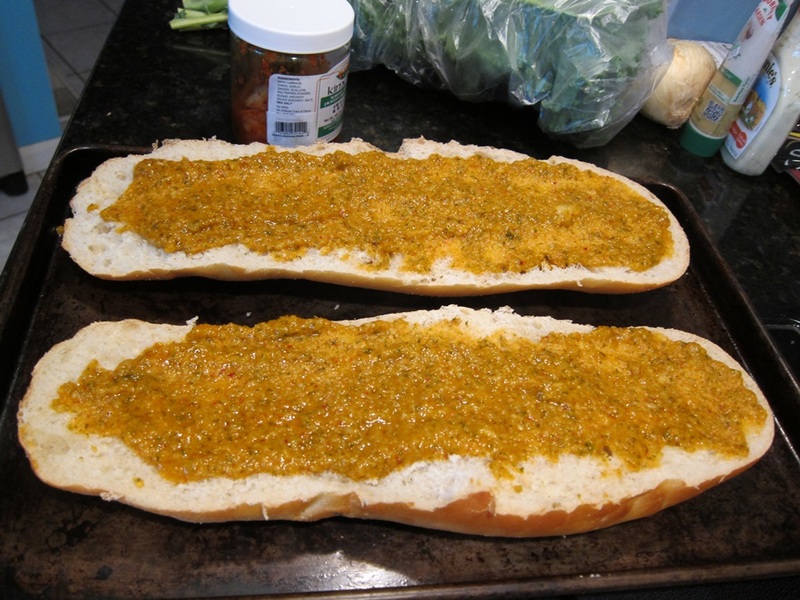 This entry was posted in Dinner and tagged Bread, kimchi, spread. Bookmark the permalink.